What? Is this a joke? How in the world could someone make money while their in school? Well, you may just find out today! 1. Analyze the obvious: People always need things. Money is literally everywhere. You just have to spot where exactly the wealth is. That’s a fact. Look at the location of your school, what the population is mostly comprised of, what’s high in demand; what your school does or does not sell at lunch, what would give your classmates a better experience, etc. This gives you an estimate on the average wealth capacity, and any other factors that might affect later decisions. (Note, a cap can never be put on the potential of wealth, however this is for strict analysis purposes). This is one of the most important steps in the entire process of making money at your school. Be thorough! You might also want to research the school’s history, the current professors, the principal, and any incidents that have occurred within the establishment walls within the past 10 years. Remember, spot where value is and think outside the box. Make yourself aware of competition: Many schools have fundraisers or student government programs that raise money for the school. Make sure you know exactly how many of these groups there are and how they are raising their funds. Remember, you have to set aside a clear stepping stone, knowing you’re going up against non-profit. Once you know who you’re up against, it will be easier to find a way to appeal to the student population (usually do whatever your opponents are not willing to do). Decide on a product: This is entirely up to you.The choice of product is solely based on your observations and analysis of the school and its surroundings. A product is just a term to describe what most people will want to make their money out of. You might find that a certain service is worth more than a product and begin to sell services to students. Here is an example of product vs. service: a candy bar is a product that people buy, then eat, and feel satisfied from. A public bus ride is a service that people pay for, and provides them with something they need. A service is basically intangible while a product is tangible. Pick a product or service you want to market! Legal issues: We don’t encourage anyone to sell drugs or weapons. This is highly dangerous and could lead a lot of trouble. Just don’t do it. And if you do, we, in no way, are responsible. We do not condone the use of weapons and drugs for implementation potential money-making ideas. Also, you should look into your school’s policies because you might be able to sell something to another student but the transaction (the part where they give you dollar bills) must be done off campus. Just make sure you’re not doing anything against school rules. For example, a person at our school launched a clothing brand, marketed it at school, but had a website where people could buy his clothes. If they didn’t like buying online, they could always buy it from him outside of school and he would deliver the t-shirts in school! Get noticed: This is, what people like to think, the hardest part of the entire process. Simple, stand out from the crowd and become an outlier. People need to know who you are, what you do, and most importantly, they need to like you! Make friends! Reconnect with people that you’ve lost touch with! Tell people what you do, tell them to tell their friends, etc… Blast it out to your friends on Facebook. Take pictures of your products or advertisements and post them on Instagram. Start a new and original hash tag for your product/services. However, using social media is simply an effort that you might not need to put into the project as well. It solely depends on your marketing skills. Make money: Become profitable and give people what they want. If you’re selling something that is hard to come by or if you start your own clothing brand (like the example in step 4), you can set your own price, but be careful not to make things too expensive because that is the easiest way to NOT make ANY money. If you’re selling something that students can find at much cheaper rate, sell your product cheaper. You’d be surprised how happy people will be if you drop the price of a bag of chips by ten cents (personally, I was ecstatic). Consider adding additional features that your competitors do not have included. One thing you must keep in mind is that, whatever you are buying and selling must be profitable. There is no point in buying a product for $4 and selling it for $2. Assess the profitability of what you are selling. See how much money you’ve actually made. If you find yourself to be in a stagnant position, stop selling. Then, analyze the reaction of your customers. If they seem sad, or ask you to keep giving them what they want, then you can safely up your prices. It is crucial that your clientele understands why your prices are going up, so keep in touch with the people that give you money, and be friendly with them! Keep the people happy: Customer service! Don’t be mean to customers, they are doing YOU good! As I said before, give people what they want. If trends change and your school is no longer interested in what you offer them, finish selling what you have to the few stragglers and move on to the next version of your product! That is what true entrepreneurship is about. If you have a clothing line for example, start with two or three different shirt designs. Once people get accustomed to those and want new designs, don’t keep them waiting! Sell off the first designs and move on to the next ones. Epilogue: We hope this works out for all of you young and aspiring entrepreneurs! Do your thing and be safe! To give you a quick idea of the profits that are possible here is a quick anecdote: a friend at a neighboring school had a “candy man”. This guy sold overpriced candy to the entire school’s students. The previous year, candy distributors had been banned. 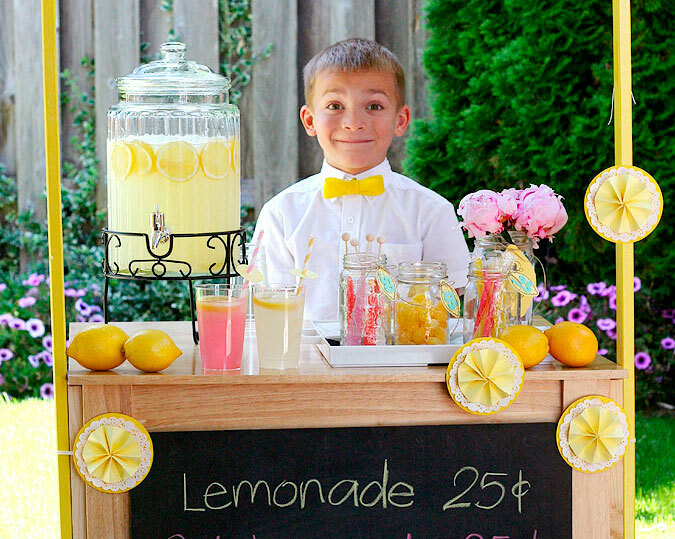 At the end of the year, this candy seller had made over $5000 in revenue. Unfortunately, he was caught by administration because he had not looked into the legal issues of selling banned items at school and his cash was confiscated! Be careful, but the possibilities are endless. We hope that you picked up a thing or two about how one can go about creating a business or making money, while in school. This article, How to Make Money While in School, wasn’t to give readers a magic formula or a cheat code to automatically reap profit from school attendance, but instead show them how to make more than a few bucks while in high school, college, or wherever. Nice Article! It covers how money is everywhere but you have to generate it. Great inspiration to young kids. Good job keep it up! Very good written information. It will be beneficial to anybody who employs it, as well as myself. Keep doing what you are doing – I will definitely read more posts.